If you’re lucky enough to own a property in a desirable area, an area that’s popular with tourists or off the beaten track, you could make some money by renting the place out to holiday visitors. Some people choose to do this through an agent – often a big tour who will do most of the paperwork, bookings and checks for you. There are financial advantages from choosing to let a property for the holiday season rather than simple buy to let. It just has to be furnished, available to let for at least 20 weeks per year, let for at least 70 days, and for seven months of the year not usually occupied by the same person for over 31 days. You pay less capital gains tax on any profits you get from selling a holiday let property, and you can claim more expenses back from your rent against your income tax. If you don’t live near the property that you’re intending to rent out, you will need a decent agent to do the admin for you – things like checking your visitors in and out, keeping an eye on the property for you and arrange cleaning and repairs. If the agent isn’t taking the bookings on your behalf, you’ll also need to give them the contact details of your visitors, and makes sure that the visitors also have the agent’s details in case of any problems. If you’re going to use your property as a holiday let, you must make sure that you have the correct insurance in place, and tell your insurance company that the property is being used for this purpose. In today’s increasingly claim-friendly world there is a risk of being sued if anyone suffers an injury or a loss while staying in your property - and there’s the potential for a loss of rental income if the property is uninhabitable for a long period of time, during repairs or if flooded for example. You should provide your guests with an agreement – and the rental agreement should cover details such as the names of the visitors, and agreed rental dates. If you’re taking a damage deposit (and this is a good idea) you can detail this on your agreement, along with other financial details like the cost of the rental for the period you’re renting the property and your cancellation charges. If there are any extras on offer that are chargeable, mention these in the agreement too. These could include things such electricity, washing machine use, linen hire. 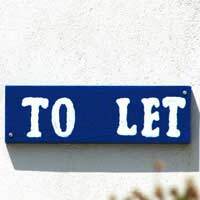 Before you actually rent the property out, you will need to carry out the relevant safety checks on gas, water, and electricity and making sure there are no potential hazards such as sharp edges or broken windows. All furniture that’s provided in the property must comply with the Furniture and Furnishings (Fire) (Safety) Regulations – you could be fined if it doesn’t. Worse still, if you didn’t comply and this resulted in injury, loss or death, you could be subject to criminal prosecution. If you’re renting out a house fully furnished, which most holiday lets will be, you will definitely need an inventory listing all the contents of the house. Make it clear that in the event that the visitors break anything in the house they are responsible for the cost of replacing or repairing the items, and ask them to report any damage. You’ll need to provide details about the everyday running of the house or property – for example instructions on how to use appliances and hot water/heating systems. It’s also useful to include information on local shops, take aways, and local attractions.